In addition to standard open surgery, surgeons at Rancho Springs have special expertise in laparoscopic or minimally invasive surgery. Many procedures can be done with tiny incisions, known as minimally invasive surgery. This type of surgery may lead to faster healing and less scarring. 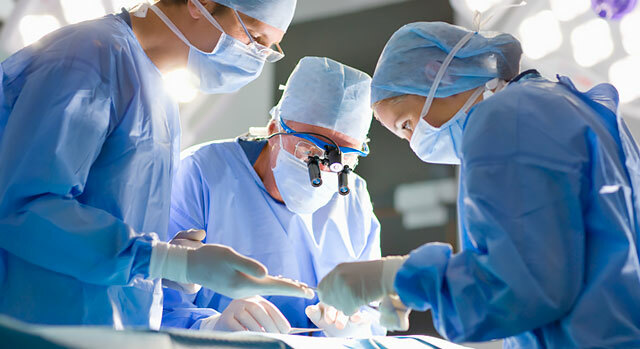 Using advanced technology, surgeons make small pencil-sized holes in the body while video equipment is used to provide a magnified view of the surgical site. Instruments are used to perform the surgery through the incisions; this usually results in smaller scars, less time in the hospital and a faster recovery and return to work and daily activities. Minimally invasive surgery usually results in quicker healing and less scarring. Surgeons make small pencil-sized holes in the body and insert small video cameras to provide magnified views and help them guide small surgical instruments through the body to the surgery site, where the surgery is completed. Because the procedure is performed through the small incisions, patients experience smaller scars and quicker recoveries. Surgeons at Rancho Springs were the first in the region to use the da Vinci® Surgical System. They can perform robotic procedures in a number of specialties including gynecology, urology and general surgery.